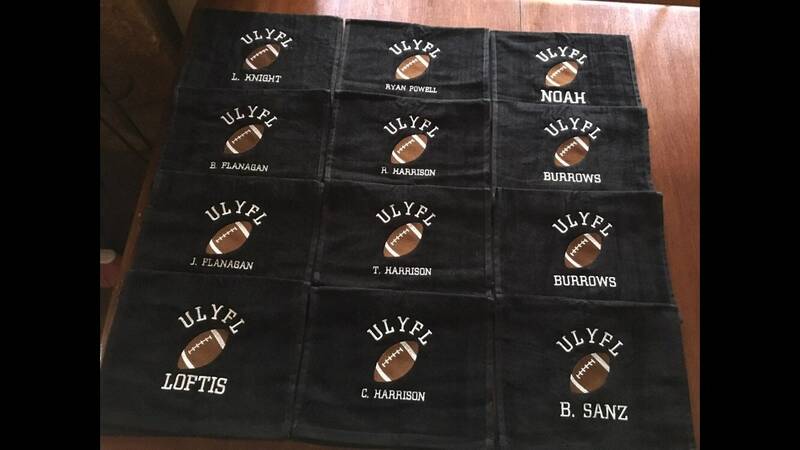 Custom Personalized football towels. Terry velour. 3 lines of lettering OR number. 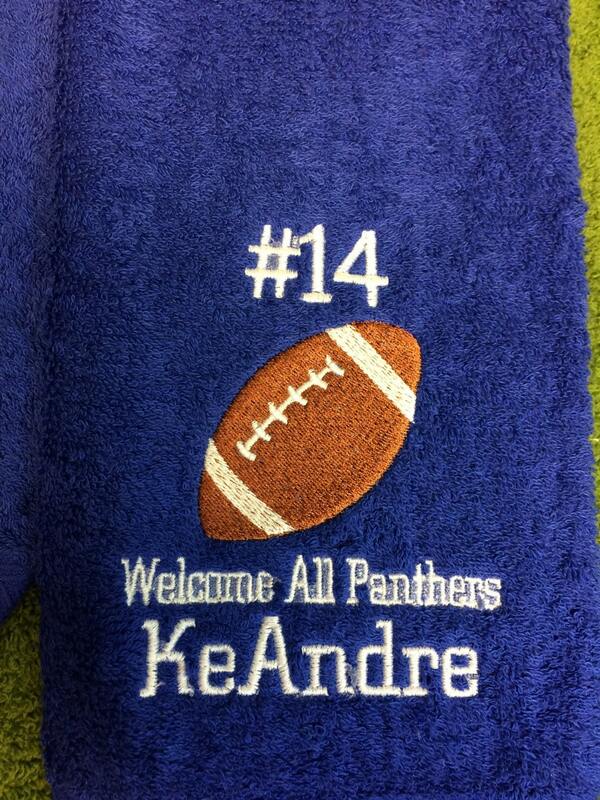 This would make a great gift for the football fan or player in your family. 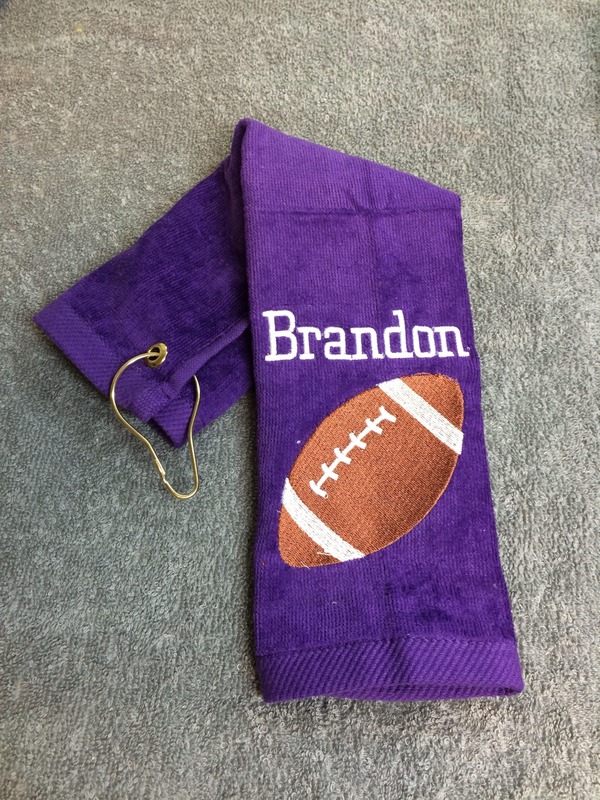 I can stitch in any color with name, school, year or number or all of the above. Extra lines $1.00each. 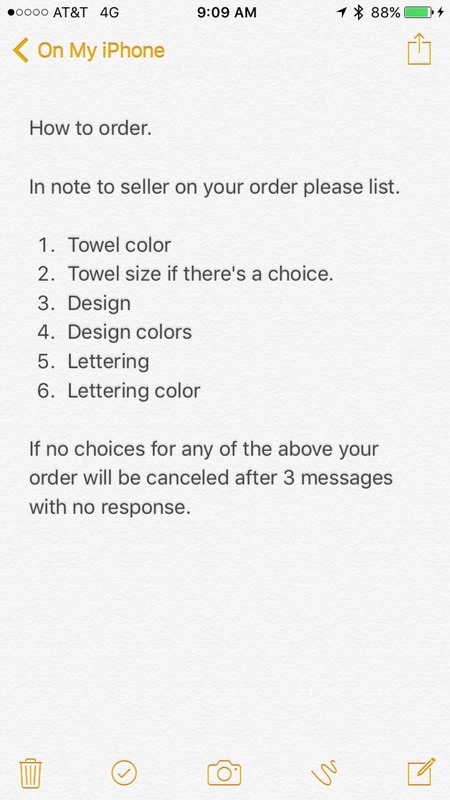 Message for link to add to your order. 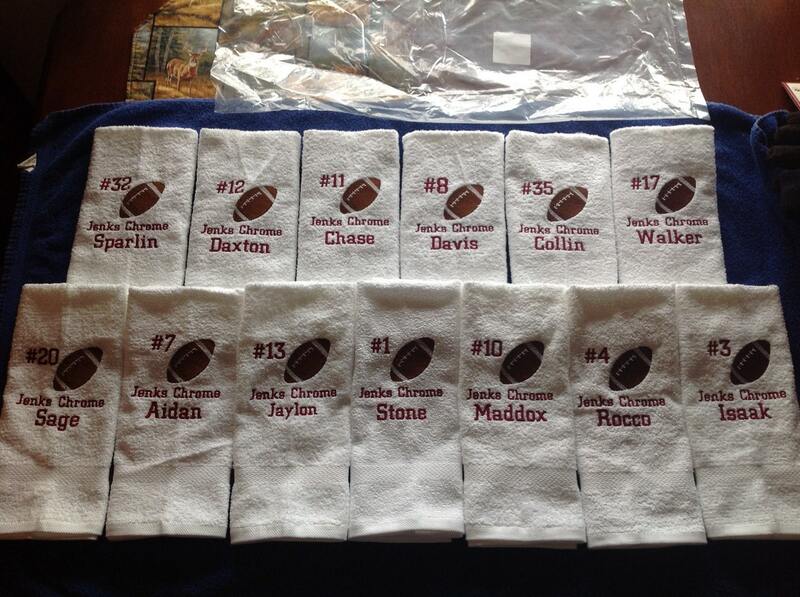 These were the perfect gift for our football team for homecoming. The boys were so excited, they loved them. They were shipped in perfect timing and Mrs. Linda respond right away. She nailed it. 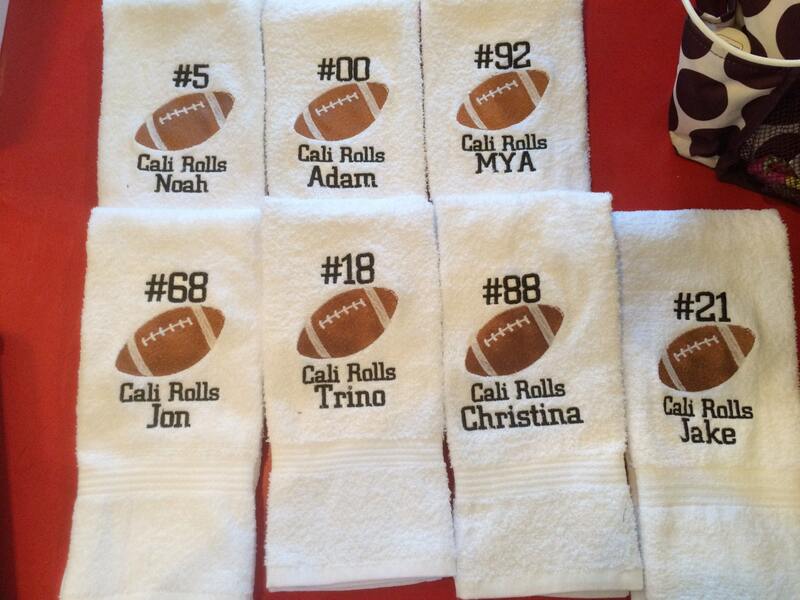 The towels look so expensive and I would recommend them 100%. GREAT quality! 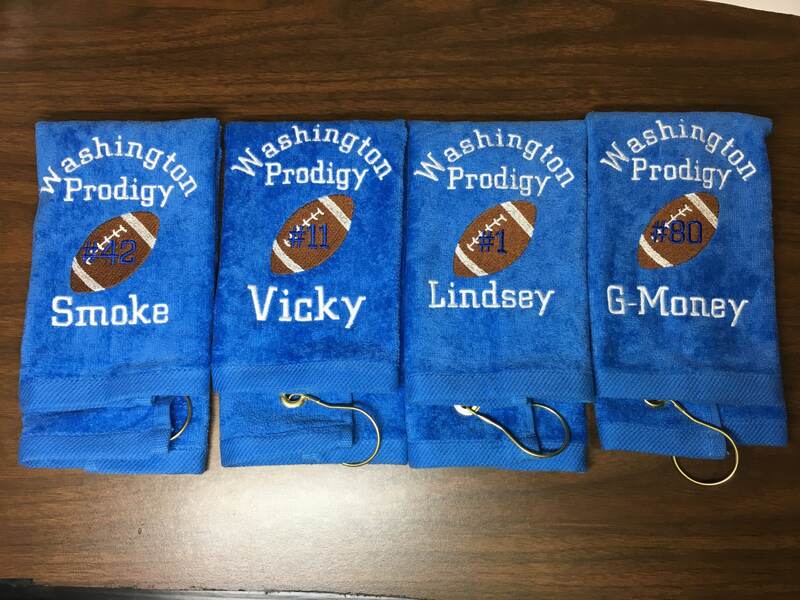 Highly recommend for teams or individuals, she will customize for you! They arrived very quickly. 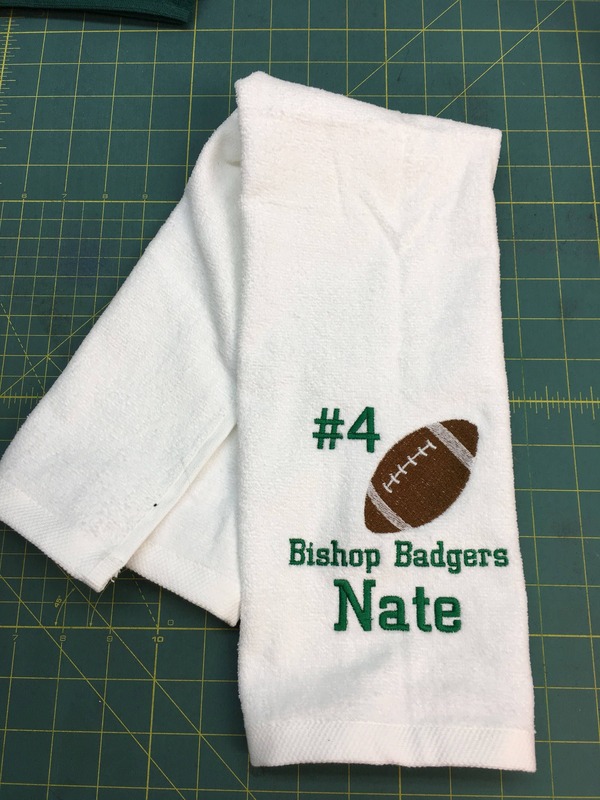 The towels are good quality, as described. The stitching is bright and perfect! 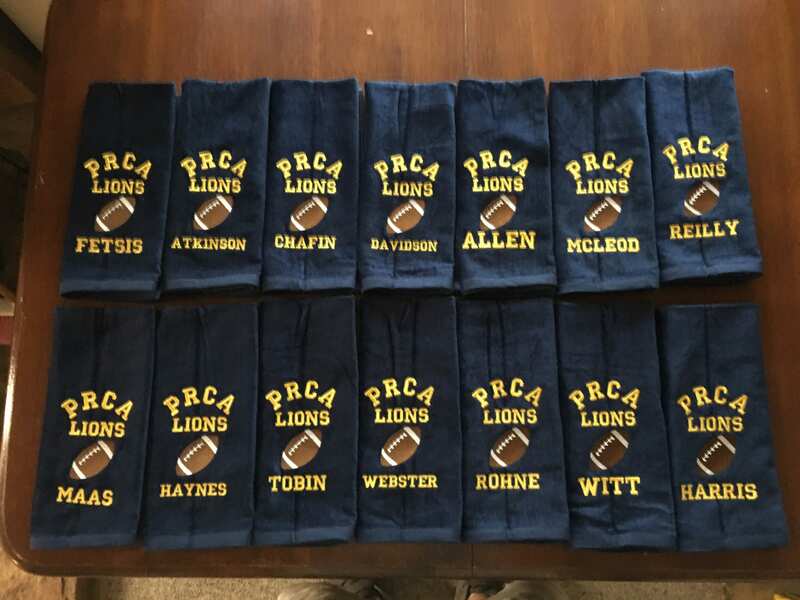 We are using these as part of our senior gifts to our football players this fall. 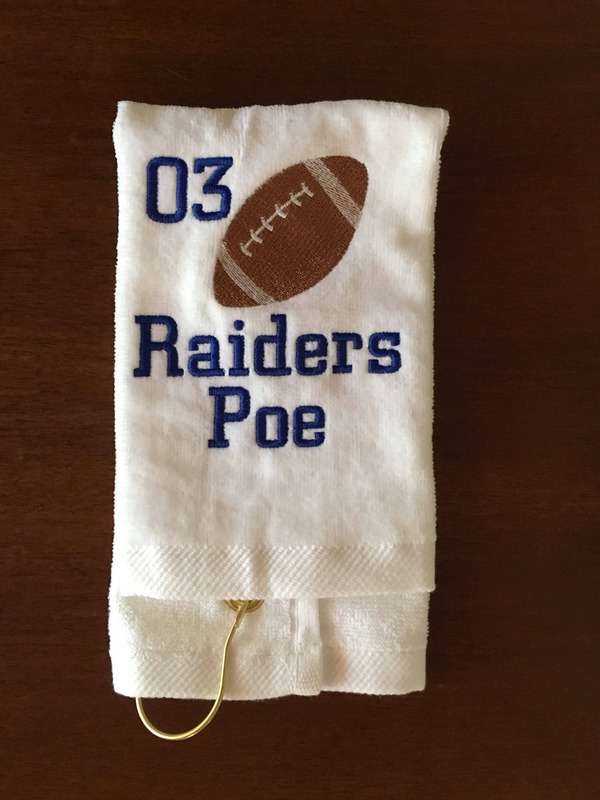 I'd highly recommend these as a personal gift. Very pleased.